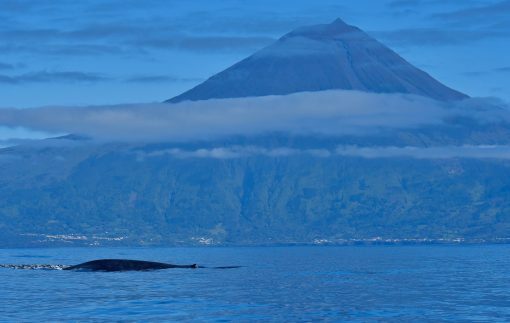 The big baleen whales are found in the waters around Pico from February to June. 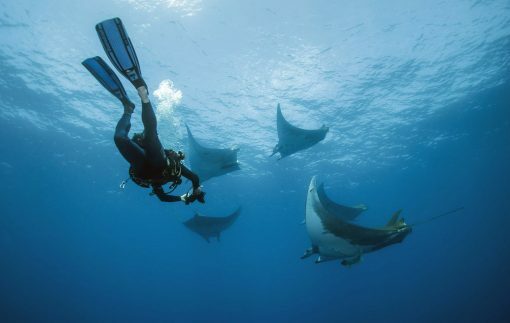 During this time up to three different species can be sighted simultaneously from the boat at some days. 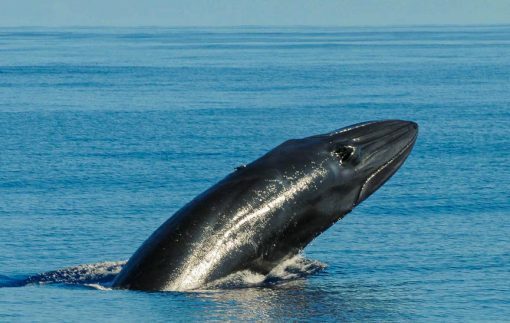 The baleen whales, which filter krill out of the water, are attracted by the huge food resources of the Mid-Atlantic Ridge. 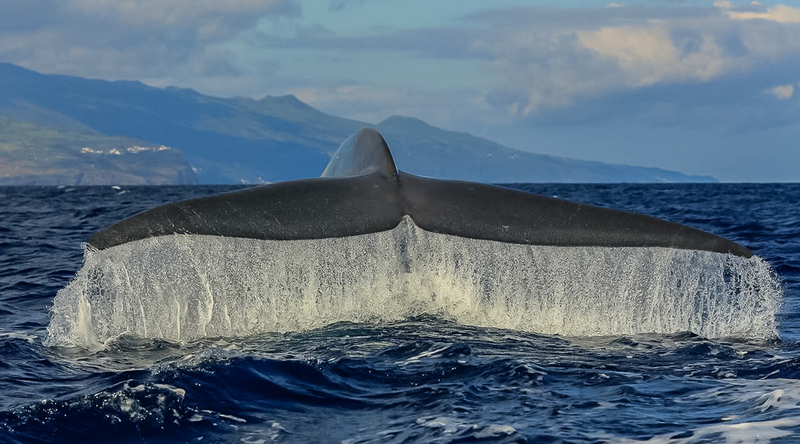 Therefore, the baleen whales are attracted here to consume the “big buffet” in front of Pico. They are the largest animals to have existed on our planet, with a total length of up to 33 meters. 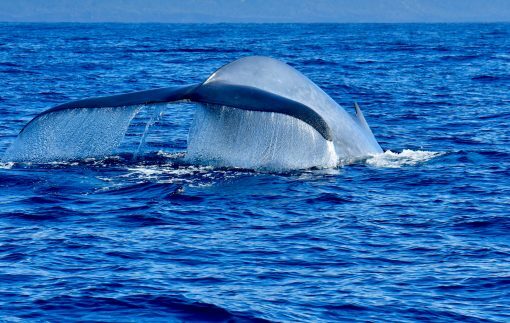 The blue whale is even bigger than the biggest dinosaur ever discovered. They weigh up to 200 tons, which is approximately the weight of 33 African savannah elephants. Humpback whales are the “singers” of the whales and tend to be the most popular whale species. 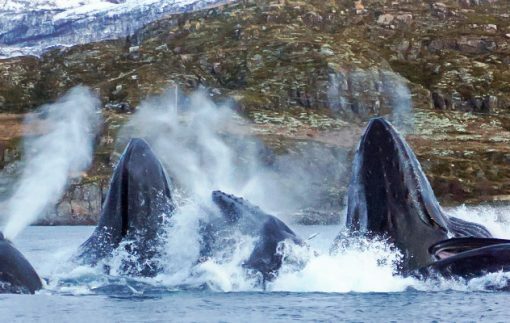 Just as the blue whales, humpback whales belong to the baleen whales. Humpback whales can easily be distinguished by their remarkable side flippers and because they are often covered by sea barnacles and diatoms. They are known for their impressive jumps and inhabit all oceans up to the borders of the pack ice. 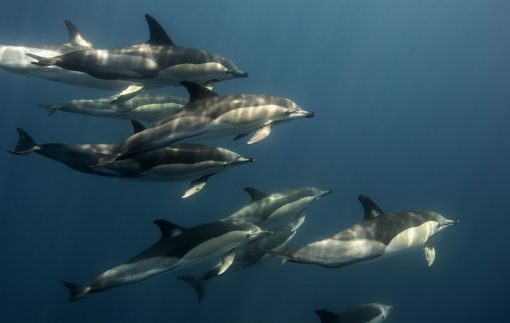 Within these huge distribution ranges, these animals seasonally migrate thousands of kilometres, which directs them along the Azores from March to June. 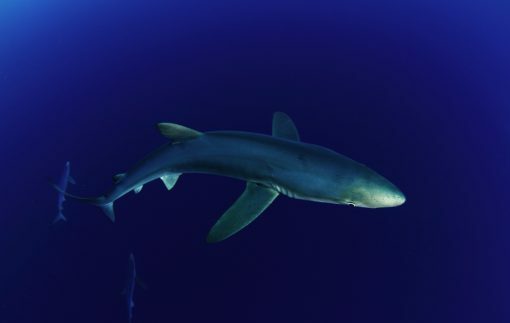 In summer they stay at the nutritionally rich northern and polar areas and during winter they are found in tropical and subtropical waters. 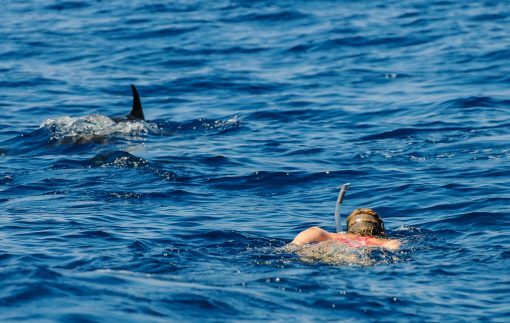 Besides the migrants (wanderers) of the oceans you will also meet the permanent inhabitants of Azorean waters. 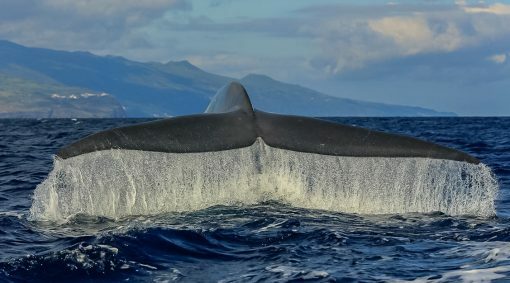 Pilot whales and short-finned pilot whales are possible candidates for sightings as well as Sei whales, Fin whales and Minke whales. 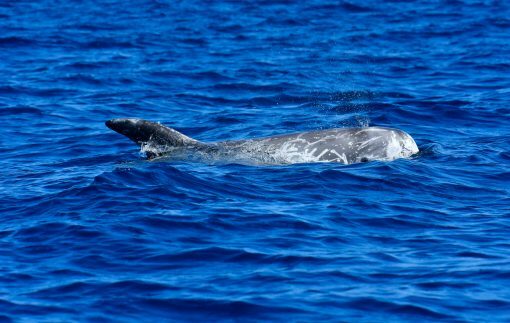 In terms of dolphins you may see Risso ́s dolphins, bottlenose dolphins and common dolphins. 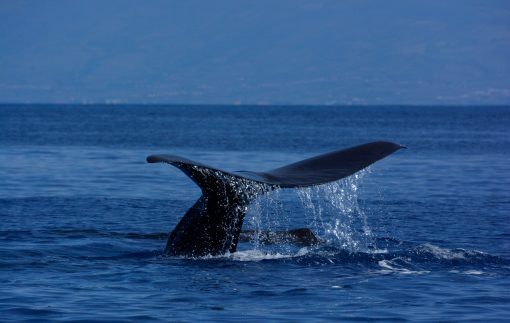 The excursions to see the whales may take place at whatever date during the two weeks, as bad weather conditions may make a boat trip impossible. On these days the onshore program will take place in which you will get mesmerized by the island awaking from winter. You will be able to see Pico Mountain, which may still be covered by snow, and see the Incenso flowers, which pamper the island with its sweet scent. 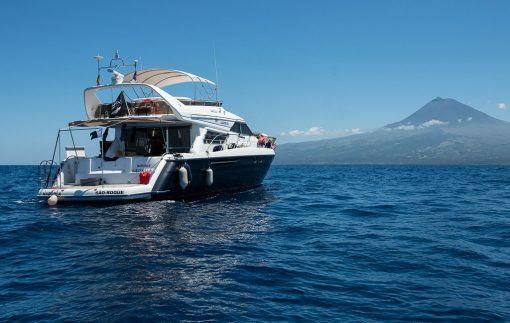 Let ́s welcome the giants of the sea together and experience the beauty that Pico island has to offer! Arrival in Madalena and Check-in into your accommodation. Short meeting about the programme your holiday. Day 2 – 14: According to the weather changes we will adapt the program of the following days on a daily basis. An Observation of the Azorean noctules (Azorean bats). A day trip to the island of Faial including visit to the famous Yate harbour. For Groups of 4 or more we can arrange private travel dates from 15.03.-15.06.2019.